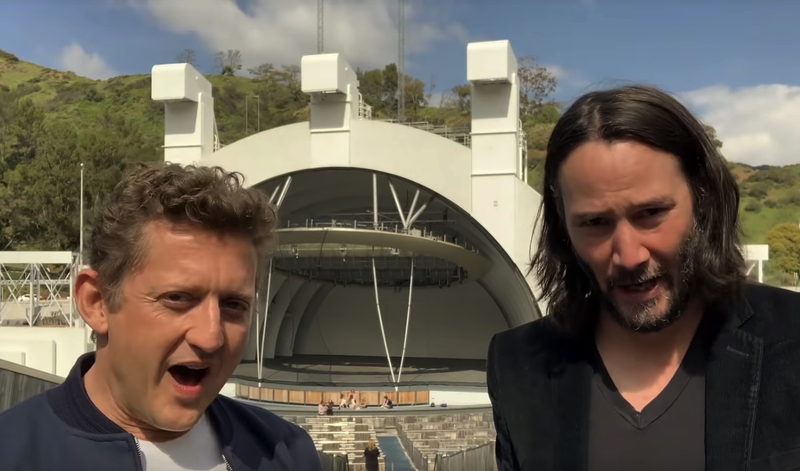 Alex Winter and Keanu Reeves are to star again as Bill and Ted, a long-hoped-for sequel to the 1990s classics: "The world is about to get a lot more excellent." Weird fact: both Winter and Reeves are British, but neither have spent much time there: Winter moved to the U.S. from East London when he was 5, while Reeves's mom is from Essex but moved to Canada before he was born. Winter holds British and American citizenship; Reeves is a naturalized Canadian citizen. Both would have been exposed, as youngsters, to Estuary English, an emergent dialect with many curious similarities to California English, like, totally.